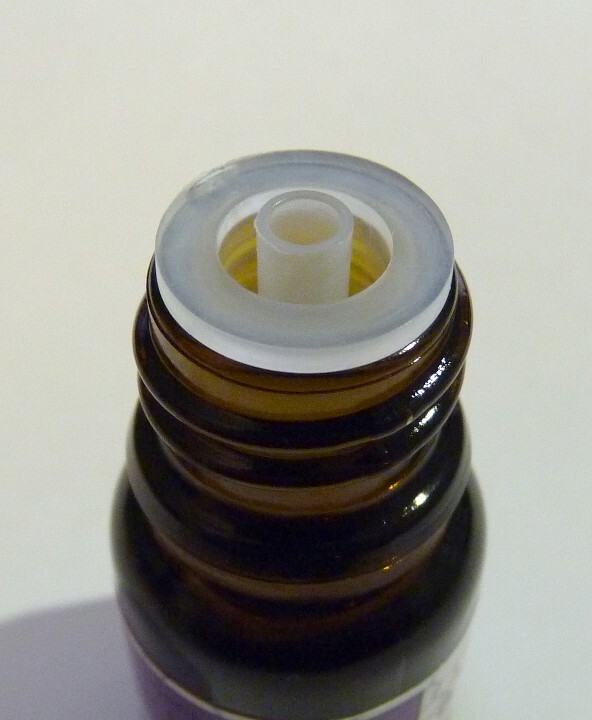 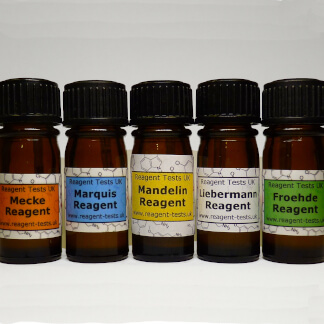 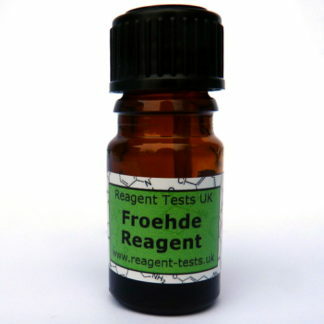 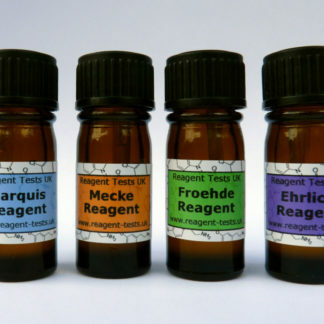 Reagent tests are a simple way to test substances to begin identification. They offer a level of accuracy which human senses such as visual inspection simply cannot compete with, instantly alerting testers with a clear colour change when the substance is not what it is expected to be. Testing takes around 60 seconds and uses just 1/1000th of a gram of the substance. 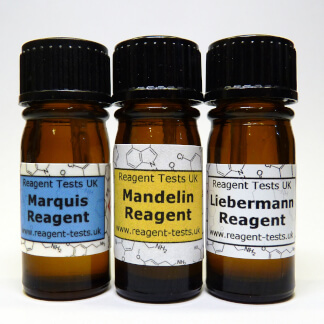 With 2mL providing enough for up to 40 tests, testers have the ability to identify mis-selling for a tiny cost with every test. 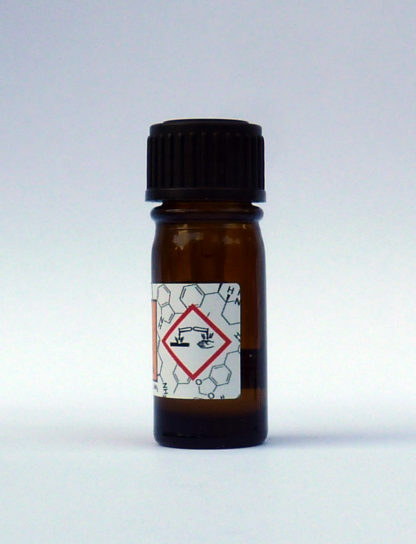 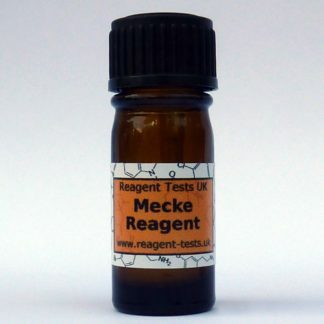 The mecke reagent is best used in combination with at least one other reagent to give an understanding of different compounds present in a sample. 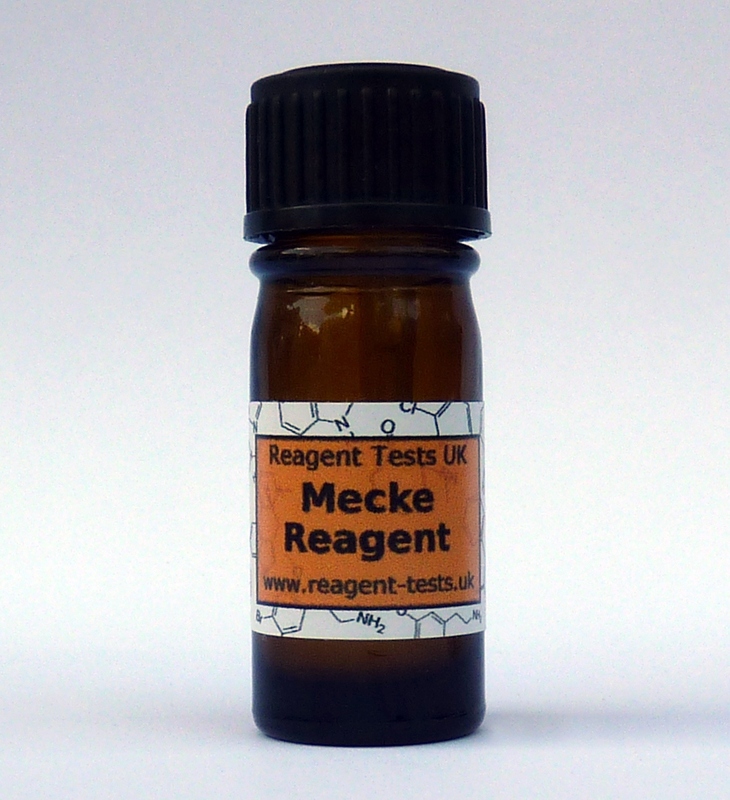 The Mecke reagent is a popular reagent which is easy to use and turns olive green in the presence of PMA or PMMA. 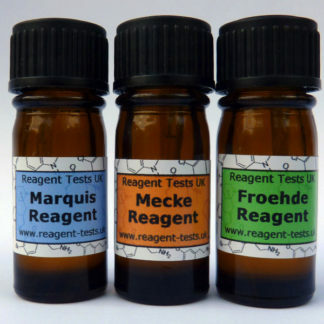 It is commonly used for testing MDMA due to its distinctive blue reaction but must be combined with another reagent to reduce the risk of impostor compounds which give the same result with a single reagent.